Have you heard the one about the Irish kamikaze pilot returning from his 13th successful mission? The Hate Speech Bill, the latest bit of legal lunacy to emanate from the office of Chief State Legal Adviser, Enver Daniels, is already drawing vehement criticism from comedians and columnists and, according to these critics, it could criminalise such jokes. Jokes aside, yet another example of Daniels’ law-crafting skill – described as an ‘Orwellian piece of stupidity’ – is said to be unconstitutional and yet another long, debilitating civil rights struggle is predicted to correct yet another of his follies. My subjective perception is that he drafts legislation to please Luthuli House and then leaves it to civil society to try and sort out the mess. 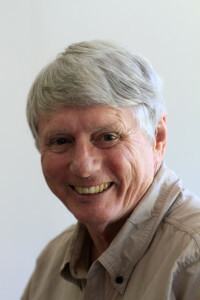 As I pointed out in a previous article, Daniels was a crony of the late Dullah Omar who, as Justice Minister, was determined not to appoint a hugely qualified white Afrikaner, Johan Bruwer, a man of acknowledged integrity, when the post of Chief State Law Adviser became vacant in the late 1990s. The process used by the ANC to appoint Daniels – who did not have the required LLB degree – rather than Bruwer was typically devoid of honesty and integrity. August 2011 – The Constitutional Court rules that Section 8(a) of the Judges’ Remuneration and Conditions of Employment Act 2001, is unconstitutional. August 2014 – The Western Cape High Court rules in favour of the EFF MPs who, after disruptive behaviour in parliament, had their salaries withheld and their privileges revoked. The ANC took this to the SCA. 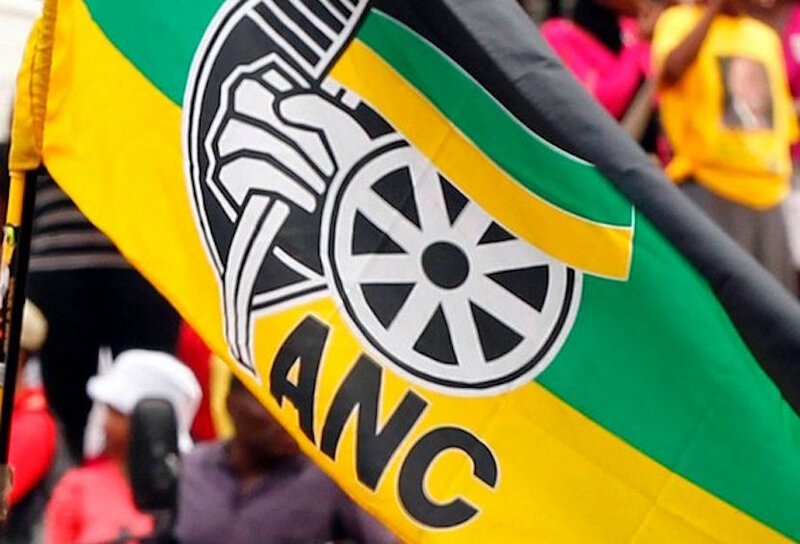 November 2014 – The ANC suffers another setback after the Helen Suzman Foundation contended that the law as drafted did not guarantee the independence of the Hawks. March 2016 – After the ANC brought armed police into parliament who kicked EFF MP Reneiloe Mashabela in the face, the Constitutional Court ruled that such treatment of parliamentarians did not pass constitutional muster. March 2016 – The Constitutional Court rules in favour of the Public Protector and finds that when President Jacob Zuma, ignored her order to pay back some of the money spend on Nkandla, he was in breach of the constitution as was the ANC in parliament for not holding him to account. The court also ruled that parliament, which is dominated by the ruling African National Congress, had failed in its obligations by not holding Zuma to account. May 2016 – The ANC suffers another court setback when the SCA affirms the Cape High Court ruling of August 2014 and, for the second time, finds in favour of the EFF who had their salaries withheld after criticising President Jacob Zuma in parliament over his role in the Marikana massacre. 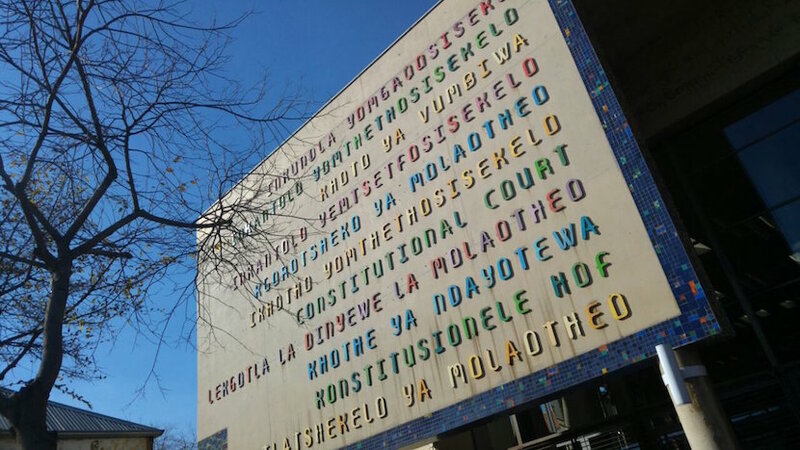 September 2016 – The Concourt rules in favour of Lawyers for Human Rights and against the government after 200 families were evicted from a tract of municipal land. Chris Barron’s Sunday Times interview in July with Enver Daniels took me back to a full bench hearing in the Western Cape High Court in November 2004 when Judge Deon van Zyl ruled that Sir Mark Thatcher must face questioning by investigators from Equatorial Guinea over charges that he had helped finance a foiled coup plot there. During the course of the hearing there was a discussion about the quality of the laws being drafted by the state law department and the consensus – without dissent from anyone present – was that it left much to be desired. I also remember the extraordinary arrogance with which, in July 2010, Daniels dismissed pervasive public and legal concern about his drafting of the Protection of Information Bill as ‘emotional and hysterical’ saying that right from its first version it would pass constitutional muster. A year later, the ANC backed down. He gave up his independence to defend a bill propounded by a political party. At the time I bet a year of my salary, saying it would not stand a constitutionality test. His duty is to give honest and informed advice; it seems to me his advice at the very least was not informed. Govt's Hate Speech Bill makes it an offence to ridicule any person or group based on their occupation or trade. Goodbye, satire. In September 2013 President Jacob Zuma refused to sign the Bill into law and instead sent it back to the National Assembly for reconsideration. Former IFP MP, Suzanne Vos, recalls finding herself standing to next to Daniels in an airport bus and him expressing his antipathy towards her and the late DA MP, Dene Smuts, because of their constant and always critical surveillance of what came out of his office. She said it was always a slam dunk because much of it had more holes than a hundred metres of chicken wire. Daniels told her he always warned his staff that if the legislation was related to the Parliamentary Committee on Communications they must know that Smuts and Vos would subject it to intense scrutiny. As their party’s representatives on the Portfolio Committee: Communications, Smuts and Vos formally petitioned the Presidency on several occasions not to sign Communications-related legislation that had been passed by the ANC-dominated National Assembly despite the objections raised by the two of them. When they petitioned the Presidency they warned that the Bills they had objected to in the Communications Portfolio Committee and in Parliament would not “pass Constitutional muster”. They were right. On both occasions the Presidency sent the Bills back to Parliament for amendment. Here is the Chris Barron interview with Enver Daniels on 31 July. Why is poorly drafted legislation sent to parliament? The legislation isn’t poorly drafted. A lot of it doesn’t pass constitutional muster. Isn’t that an indication of legislation that is poorly drafted? No, that is not correct. Since 1994 this office has drafted approximately 1400 laws, in excess of 300000 clauses. At the last count 21 clauses were set aside by the Constitutional Court. The report mentions 26 bills and acts of parliament being declared invalid and unconstitutional. They got it wrong. They got it completely wrong. There were two laws which were struck down in their entirety because of the process followed by parliament. And this week the Constitutional Court again struck down a law because of the public participation process, which it deemed was insufficient. We have no control over that. Should bills that do not pass constitutional muster go to parliament? Only the Constitutional Court can determine finally the constitutionality of any law passed by parliament. You have the knowledge to raise red flags about the constitutionality of draft legislation, don’t you? That happens all the time in my office. Every bit of legislation is tested. Where we think it is not going to stand constitutional muster we refer it back to the executive. So why did the access to information bill go to parliament? What was wrong with it? There was one clause that the Constitutional Court deemed unconstitutional. Legal experts had submitted that the bill was unconstitutional. Every bill submitted to my office undergoes extensive peer review. It comes to me for final approval. I then look at it, interrogate it, discuss it with the team. If collectively we’re satisfied, we’ll certify it and send it to parliament. So why does legislation that has unconstitutional clauses go to parliament, as in the case of the access to information bill? Lawyers will have different views. Some will say that they think the bill is unconstitutional. Where that happens their views are often sent to me so that I can look at it, interrogate it and see whether I agree with it. In some instances we have accepted suggestions and recommended to parliament that they accept them. But that doesn’t change the basic constitutionality of the bill. Why are there cases where experts warn that a bill is unconstitutional and yet it still goes ahead? Parliament makes its decision. We in our office have to certify the bill or tell parliament we can’t certify it because it is unconstitutional. So why do you certify laws that are found to be unconstitutional? I’ve indicated to you that 21 clauses out of about 300000 clauses were struck down as unconstitutional, and I don’t think that’s a bad record. Some have been fairly major, haven’t they? Some of them are, because they deal with constitutionality. Did you advise the government that legislation setting up the Hawks was unconstitutional? After it was taken to the Constitutional Court? Yes. It went to the Constitutional Court so that the constitutionality of the law could be tested. Wouldn’t it save a lot of time and … money if you advised ministers about problems before they are taken to the Constitutional Court? You’re assuming that we don’t advise the ministers. Are your opinions drafted to please them? We do our work independently of the executive and base our advice on research and our consideration of the matter … We certainly don’t do things to please the executive. Did you advise the government it could allow [Sudanese President Omar] al-Bashir into South Africa? Yes, I was one of the persons who advised on that. Isn’t that an example of advice being tailored to please the government? Not at all. I don’t want to discuss that matter because an application has been made to the Constitutional Court for leave to appeal the Supreme Court of Appeal’s judgment. But the SCA did confirm one aspect of my advice: that in international customary law a head of state enjoys immunity from arrest. Even if there’s an international warrant out for his arrest? Yes, generally. But I don’t want to comment on it because it is the subject of a Constitutional Court application for leave to appeal. Did you advise the government that he could leave the country in breach of a court order? I was not involved in that, I wasn’t even in the country at the time. Doubts have been raised about your independence. Are you independent? So why did you try to stop the public protector’s investigation of Nkandla? She stated under oath that you did. She did, but I’m afraid she was mistaken. Were you present when she met ministers of the security cluster? I advise in my capacity as a lawyer, and I don’t want to discuss matters in which I had advised the government. Does the career of Enver Daniels not testify to the damage which the ANC’s cronyism – also known as cadre deployment – has done to this country? As was pointed out in the two translated 1999 articles from Die Burger in my previous article, the CCMA found that that was no justification, legal or moral, to appoint Enver Daniels to the post of Chief State Law Adviser rather than the better qualified Johan Bruwer. The motive of the then Justice Minister, Dullah Omar, for so doing, was clearly politically motivated just as it was in the past. Fast forward to 6 November 2008 and the Eastern Cape division of the High Court, in iMlokoti v Amathole District Municipality, declares cadre deployment to be illegal. 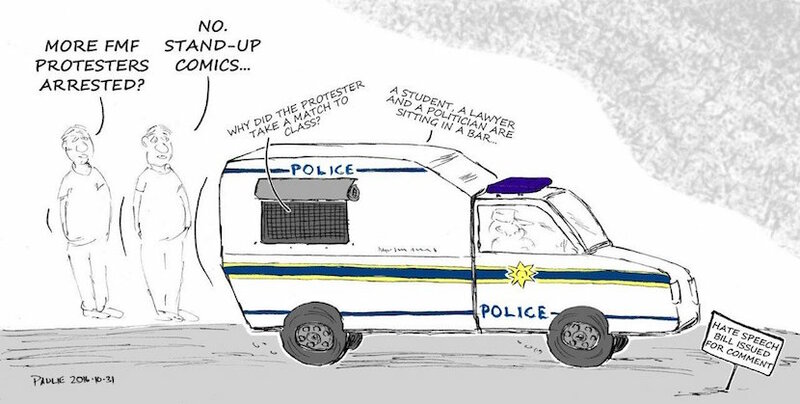 With its normal contempt for the law, the ANC lifted its suppurating middle finger and, to the growing horror of the country, appointed Shaun Abrahams and Des van Rooyen, the ‘most qualified’ ‘Weekend Warrior’ to the positions that they now disgrace. In my subjective opinion there is little difference in principle between their appointment and that of Enver Daniels and, if there is, my sense is that is one of nuance rather than substance.